Hello, I’m interested in 27616 East Alder Drive and would like to take a look around. 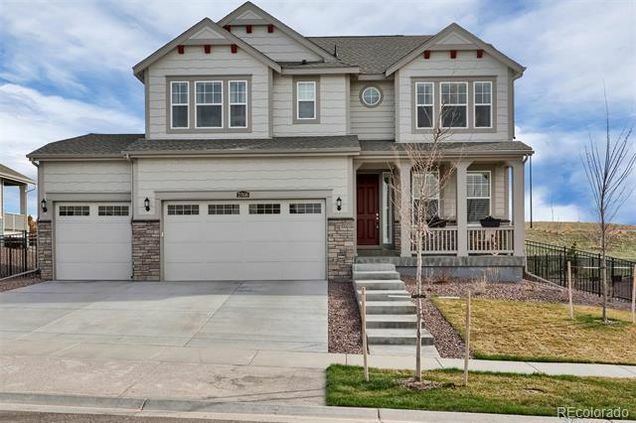 The details on 27616 East Alder Drive: This house located in Blackstone, Aurora, CO 80016 is currently for sale for $615,000. 27616 East Alder Drive is a 3,742 square foot house with 5 beds and 4.25 baths that has been on Estately for 6 days. 27616 East Alder Drive is in the Blackstone neighborhood of Aurora. This house is in the attendance area of Fox Ridge Middle School, Cherokee Trail High School, and Pine Ridge Elementary School.